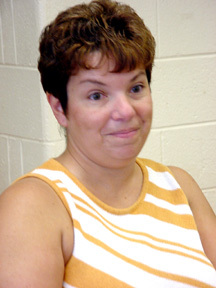 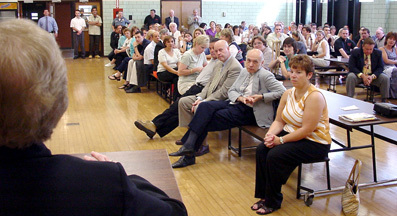 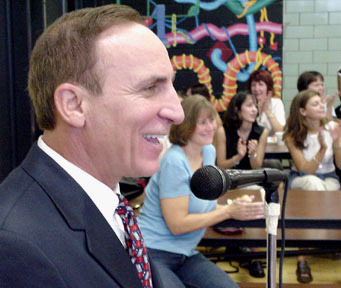 On September 4, 2001 at 8:00 a.m., the combined staff of the Hasbrouck Heights Board of Education met for an introduction breakfast at the Jr. Sr. High School cafeteria. 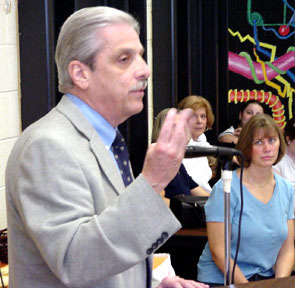 The Superintendent of Schools Mr. Joseph C. Luongo introduced Mayor William Torre, Board of Education members, various school officials and the new employees. 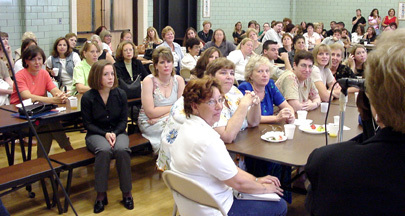 After the breakfast, the staff adjourned to the High School Auditorium where the Superintendent provided the new and updated rules, regulations and policies for the new school year. 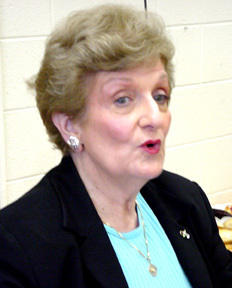 Assemblywoman Rose Marie Heck speaking with the staff.